Nutrex Vitrix 80 Caps 100% Original! Garantido! 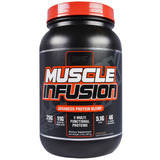 Whey Muscle Infusion 907g + Glutamine Power - 300g!